You’ve got a digital camera and now want to know what separates a good photo from one that falls flat. How can you take a photo that does more than capture an image, but also tells a story in a compelling and creative way? Pay attention to the light, which is as important if not more important than the object you’re photographing. Without good light, even the most captivating subject matter won’t make a good photograph. Look for interesting vantage points. What’s going on up or down, high or low? The majority of photographs are taken from eye level. You will find a new perspective by getting in the dirt, climbing a wall, or twisting the camera angle in your hands. Consider the composition. Move in closer to cut out the clutter or place the subject somewhere other than in the center. Use the Rule of Thirds by splitting the image up into thirds, both horizontally and vertically. Make several varied images of the same subject. Whether you are a beginner with a new camera or have pliantly of photography experience, you can learn how to master your camera, composition, printing, color management, live action capture, and lighting techniques. Courses through PCA&D’s Digital Photography Certificate Program are taught by professional photographers working in the fields of commercial, advertising, portrait, event, and wedding photography. Through this program, you will develop both your artistic style and technical prowess to turn a passion for photography into a career. Small classes allow for individualized instruction and personal exploration. LA 010, Business Practices for Photographers. For younger photographers, teenagers can take the High School Pre-College Digital Photography Class. Learn more at PCAD.edu.Winter2016. NOTE: To take digital photography classes, you must have basic computer skills and a digital 35 mm SLR camera. 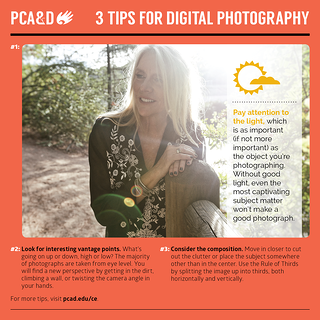 Learn more about the Digital Photography Certificate program. A camera under the Tree? Or has someone in your family expressed interested in photography? Or maybe Santa is bringing a digital camera to someone on your list. 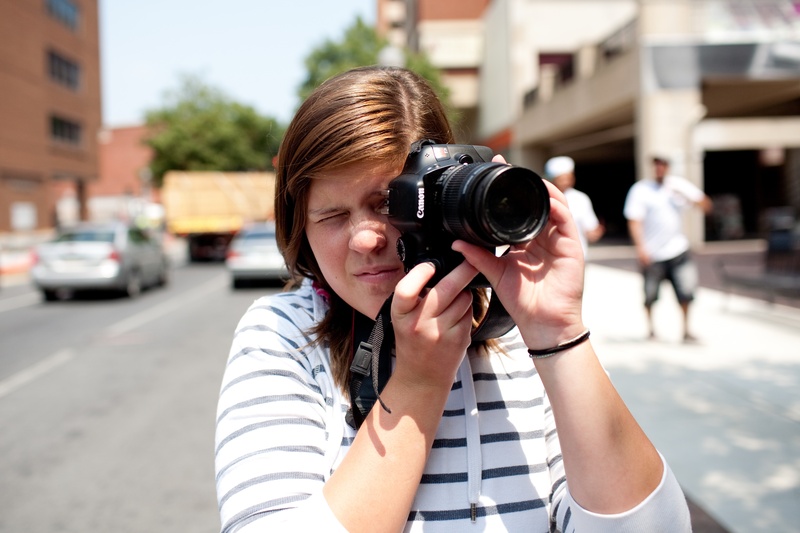 Digital Photography Courses make great holiday presents, too. Contact PCA&D’s Continuing Education Department at akane@pcad.edu or 717-396-7833 x 1019 to find out more.